Schaeffler execs say America will lag China, Europe in EV acceptance. Schaeffler's Mover electric vehicle is designed to also be autonomous acting as a shuttle in certain areas. Electric vehicles could account for 30% of the cars and trucks sold worldwide by 2030, executives from one of the auto industry’s major suppliers said during a symposium the company organized in Detroit. Marc McGrath, president of Schaeffler Automotive Americas, said the shift to electric vehicles will be slower in North America than in China or Europe where “people are running away from diesel” and several cities have moving to ban the internal combustion engine altogether. Schaeffler, a German-based company that supplies high-precision components and systems in engine, transmission, and chassis applications, as well as rolling and plain bearings. The company is moving to update its product portfolio to accommodate the move to electric vehicles and hybrids, which are destined to play an even larger role in the U.S. market where pick-up trucks and big sport utility vehicles are very popular, McGrath said. 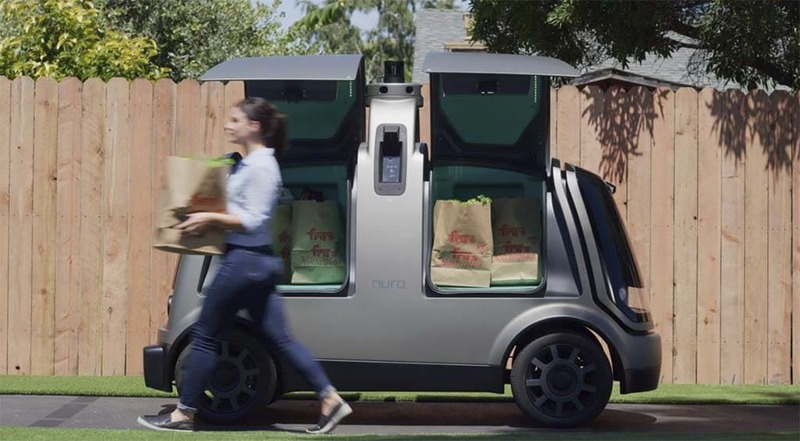 Initially, Kroger will rely on modified Prius hybrids for its driverless delivery trials, but it plans to switch to the fully driverless Nuro R1. “We aren’t just going to give up the vehicles we love,” he said. McGrath added that Schaeffler, a traditional supplier, also now has an office in California’s Silicon Valley, which is keeping track of the new trends in “mobility” that are threatening to disrupt the traditional automotive industry. 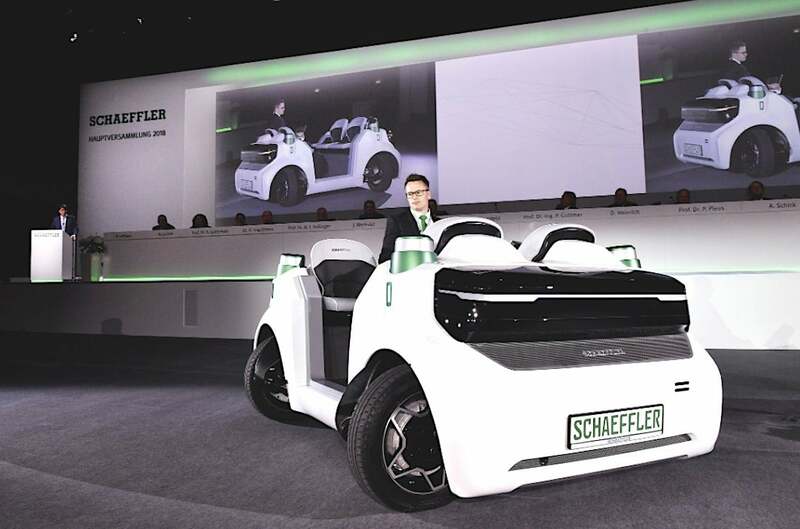 One of projects assigned to the Silicon Valley office is concept vehicles that can provide answers to mobility requirements in growing metropolitan areas.The “Schaeffler Mover” was unveiled during the symposium. It offers a flexible and emission-free platform for a range of different vehicle concepts, McGrath said. All the drive and chassis components are integrated in one unit, called the “Schaeffler Intelligent Corner Module,” to save space and enable vehicle maneuverability and passenger comfort, he said. “Today’s auto industry is transforming into a mobility industry,” said Jeff Hemphill, CTO, Schaeffler Americas. During the symposium, Schaeffler officials planned to present other technologies for future mobility, including components and system for optimizing internal combustion engine powertrains and the electrification of hybrid vehicles and electric vehicles. This entry was posted on Thursday, September 6th, 2018 at and is filed under Automakers, Automobiles, Business, China, EVs, Electrified Vehicles, Europe, Executives, Markets, Personalities, Sales, Sales, Technology, Trends, U.S./North America. You can follow any responses to this entry through the RSS 2.0 feed. Both comments and pings are currently closed.